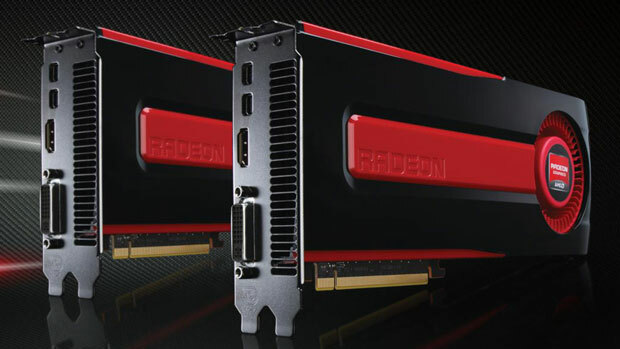 AMD launched their Tahiti Graphic cards as the first GCN based products in its Southern Islands line in early 2012 and it are still considered as great graphic cards in terms of value and performance. Sweclockers reports that the Tahiti graphic cards will last as far as mid 2014 making them one of the longest lasting GPU series of the current generation. The Radeon HD 7970 was the first Tahiti graphic cards to launch in early 2012 based on the latest GCN graphics architecture from AMD. The Tahiti graphic cards lineup includes the famous Radeon HD 7950, Radeon HD 7870 XT and the recently launched Radeon HD 7990 graphics card which incorporates two Tahiti chips. It has been over a year since the Tahiti GPU made its introduction to this world and has lived up to its name offering value and competitive performance against NVIDIA’s GeForce 600 series and GeForce 700 series. It is revealed that AMD’s Tahiti graphic cards have a lifespan of over two years and would only be discontinued after mid-2014. That’s a long time, in the meanwhile Sweclockers reports that AMD may as well have new Tahiti products launching soon but we don’t have any concrete details regarding any new Tahiti based SKUs. It should be noted that the Radeon HD 7970 launched at a price of $549 US but currently retails at a price around $299 along with a game bundle worth around $180 US which adds in to the amazing value the card has to offer. While Tahiti may be strong against the GK104 from NVIDIA, its starting to show signs of aging and can’t compete against the monolithic GK110 core from NVIDIA in the GeForce GTX 780 and the GeForce GTX Titan which totally obliterate the competition in terms of performance but at a hefty price. Many fans await the arrival of the next generation of Volcanic Islands cards from AMD which reportedly have already been shipped to manufactureres. The new cards are planned to launch in Q4 2013, possibly October and would aim to compete against GK110 from NVIDIA.